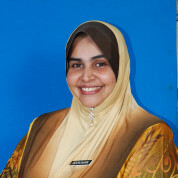 Noorjahan is a preschool teacher in Malaysia with over twenty years of experience. In 2009 she pioneered ‘Let’s Rhyme’, a method of English language learning based on alphabet and thematic rhyming. Not only does this method teach listening, speaking and language skills, it also conveys moral values, love for one’s country, and cultural understanding. The rhymes cover forty different themes based on the national preschool curriculum. Her students have been very successful at various competitions and are frequently invited to give presentations to other preschools as exemplary role models. Noorjahan was chosen as a national trainer for preschool teachers and is involved in improving the educational syllabus of preschools. She has spoken at a number of conventions, lectures at Open University Malaysia, and has teachers and students from across the country come to her preschool to observe her lessons. As a result, her method has been applied in more than 1,000 preschools all over Malaysia. Noorjahan has received numerous awards on state, national and international level. She was a finalist for the National Innovation Award by the Malaysian Ministry of Science, Technology & Innovation in 2014. Very recently, she has been invited by the Sultan Haji Hasanal Bolkiah Education Foundation in Brunei Darussalam for professional sharing on Fostering English Language through Rhymes. Join the #TeachersMatter movement by sharing Noorjahan Sultan’s update.